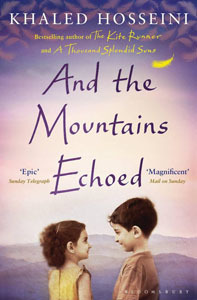 The subject of the latest book discussion will be the 2013 novel And the Mountains Echoed by Afghan-American author Khaled Hosseini, author of The Kite Runner and A Thousand Splendid Suns. The book explores the relationship between brother and sister Abdullah and Pari and the events that ensue after their father decides to sell Pari to a childless couple in Kabul. The discussion will take place on Wednesday, 25 April, from 4:00pm to 5:00pm at the Main Campus Library. Registration for the event is available on the event page. 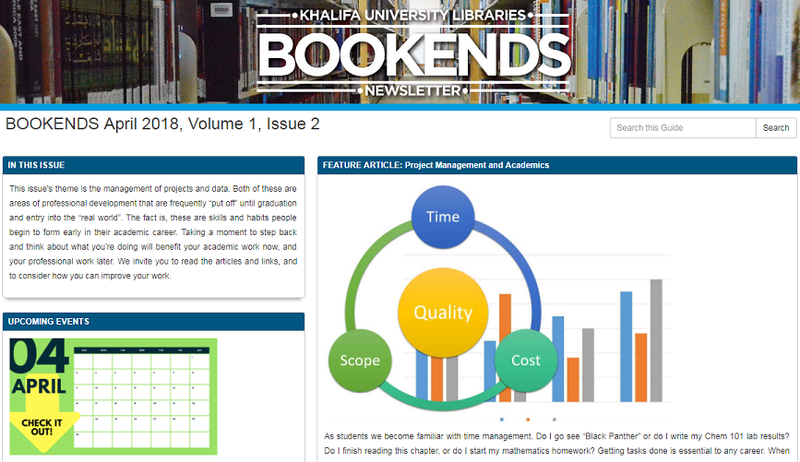 Khalifa University Libraries has published the second issue of its monthly newsletter, Bookmarks. This issue has articles about project management, a report on the recent meeting of the Information Literacy Network - Gulf Cooperation Council, tips on how to manage your energy, and so much more. Check out the latest issue now. Past news stories are available on the archive page.